​​Because commissioning art doesn't have to be so hard! Tell us what ​you want and when - ​We'll take care of the rest! ​What if you could have the perfect custom portrait without spending hours searching for the right artist? 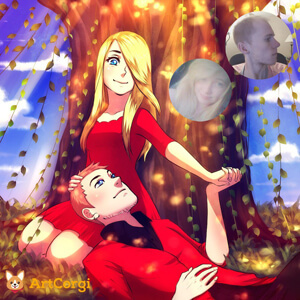 ​ArtCorgi is home to hundreds of artists​. That means ​you'll always find a talented artist for your projects! ​Don't worry, we've got you covered! ...Your gift was the only one your spouse didn't want to return? ...You could turn your most precious memory into an everlasting piece of art to ​celebrate a special ​occasion? ...You could move your loved one to tears with a meaningful ​and unique ​​work of art? ​...You didn't have to waste hours shopping for a boring, impersonal gift? ...You rocked this year's Secret Santa with the most epic gift ever? What if you could do this without spending hours finding an artist and negotiating with them? ​Choose ​the ​done-for-you package that fits your budget ​best! We'll use that to ​narrow down the list of artists! ​Tell us ​all the details to be included in your commission! We'll match you with the artist that fits your needs the best! ​Your artist will ​deliver ​a draft for you to review and upon your approval, you'll receive your finished masterpiece! 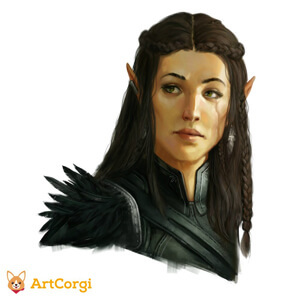 What do our past ​clients think of ​commissioning art through ArtCorgi? 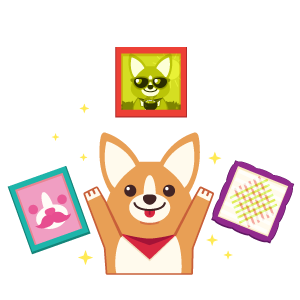 ​Don’t be afraid to give ArtCorgi a try. You will be so happy that you did. Not only business owners but families & others will benefit from it as well. The artist you select is professional, talented & hard working and will create a masterpiece for you. 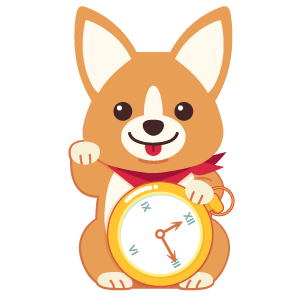 ​I am so very elated with my ArtCorgi experience and I know you will be too. Don’t be afraid to give ArtCorgi a try. You will be so happy that you did. Not only business owners but families & others will benefit from it as well. The artist you select is professional, talented & hard working and will create a masterpiece for you. 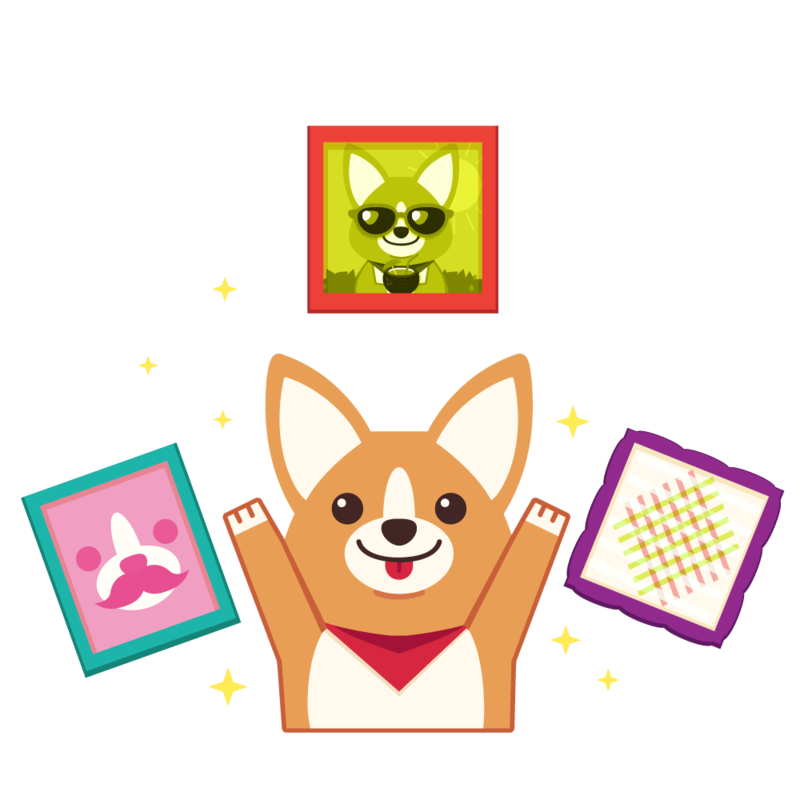 I am so very elated with my ArtCorgi experience and I know you will be too. ​Commissioning art for the first time is kind of a scary experience, ​but everyone I’ve been in contact with on ArtCorgi has been nothing but helpful and you can really tell that they want you to be as happy with the final piece as you want yourself to be. I can honestly say that I was surprised at just how smooth the entire process was, and all I can really say is that I will definitely be ordering from them again in the future and you definitely should too! Commissioning art for the first time is kind of a scary experience, especially when you’re commissioning a portrait of someone who has, until then, existed solely in your head – and the only real advice I have for anyone considering it is to just do it! It can definitely be a surreal experience, but everyone I’ve been in contact with has been nothing but helpful and you can really tell that they want you to be as happy with the final piece as you want yourself to be. I can honestly say that I was surprised at just how smooth the entire process was, and all I can really say is that I will definitely be ordering from them again in the future and you definitely should too! ​​My fiancé and I have never been fans of simple gifts, so we’re always looking for something that is special and will last. I stumbled across ArtCorgi and found that something special. The best advice I would give to someone commissioning art for the for the first time is to ask questions of the ArtCorgi team. Simone was extremely helpful in helping me understand the norms of the process so that I could ensure my requests. My fiancé and I have never been fans of simple gifts, so we’re always looking for something that is special and will last. I stumbled across ArtCorgi and found that something special. 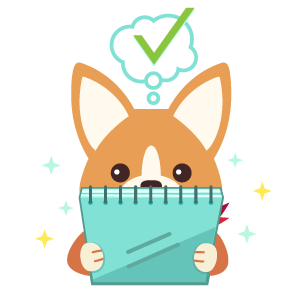 The best advice I would give to someone commissioning art for the for the first time is to ask questions of the ArtCorgi team. Simone was extremely helpful in helping me understand the norms of the process so that I could ensure my requests. ​Take your time and just plan things out. Look at multiple art styles and come up with an idea for each one. You can plan it out, really get a feel for which idea you really like and want to go with. It was probably the most fun I’ve had waiting for something before. Just waiting not knowing what I was going to get for a draft and already being blown away, then waiting for the final piece not knowing how much different it was going to look. It was a fun and exciting process to see the next thing. Take your time and just plan things out. Look at multiple art styles and come up with an idea for each one. You can plan it out, really get a feel for which idea you really like and want to go with. It was probably the most fun I’ve had waiting for something before. Just waiting not knowing what I was going to get for a draft and already being blown away, then waiting for the final piece not knowing how much different it was going to look. It was a fun and exciting process to see the next thing. Here at ArtCorgi we believe Corgis are adorable and that you deserve to ​receive the best artwork you possibly can! If you commissioned a piece through our site that does not meet our quality standards, please let us know within 48 hours. We will run your order by a panel of artists within our network. These artists have a stake in our site’s reputation, but not our general profits (or those of the artist in question). 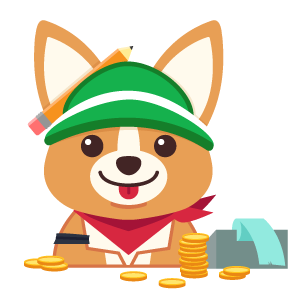 ​If they agree that your work does not meet our standards, ​you will receive a full refund and the artist who created your commission will be asked to leave our network. 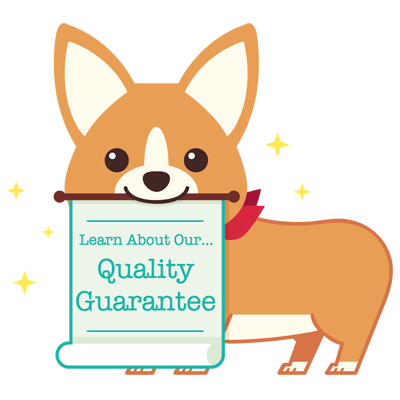 ​Click here to read our Terms of Service and ​learn more about our money back guarantee. 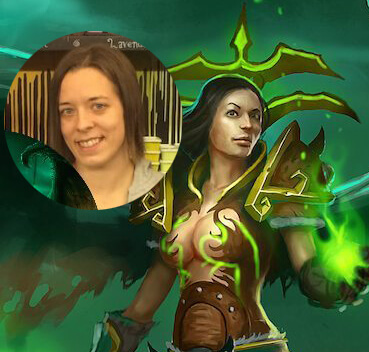 ​Because commissioning art doesn't have to be so hard. Tell us what you want and when you want it, we'll do the rest! ​YES,​ I WANT A DONE-FOR-ME MASTERPIECE!